Glasses online - Buy prescription eyeglasses online at discount prices. GlassesUSA has a wide selection of glasses for prices as low as $38. The website is easy to use; it only takes a few clicks to place your order. The delivery system is very fast, as they are working closely together with factories and laboratories. FramesDirect is one of the worlds largest online optical stores, with a selection of 100.000 eyeglasses. The FrameFinder Virtual Try-on feature allows you to upload a picture of yourself and try the glasses on while you are sitting home at your computer. GlassesShop sells eyeglasses, progressive eyeglasses and sunglasses with classic designs for prices far below retail price. The Virtual Try-On feature allows you to upload a photo or webcam picture of yourself and try the frames online. The 39 Dollar Glasses site has an excellent design that is easy to browse through, making it a good choice for first time buyers. All glasses have polycarbonate lenses with 100% UV protection and scratch-resistant coating. The shop allows you to use your FSA credit card. BestBuyEyeGlasses is one of the leading web stores for designer glasses and sunglasses. Brands like Oakley, Ray-Ban and Gucci are offered for prices that are far below retail prices. The web site has a smooth black design that is easy to navigate. Wherever you are buying your glasses from, online or at a store, it is always wise to first visit an optometrist or ophthalmologist for a thorough eye examination. 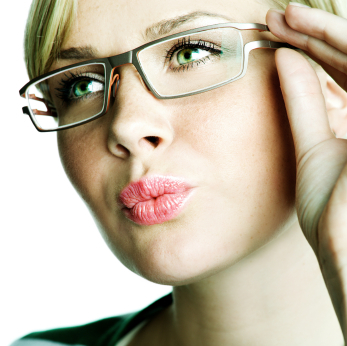 If you choose to buy your glasses at a store, eye examination may be included in the price. It is your legal right to receive your eyeglass prescription from your eye doctor. Your eyeglass prescription contains the values that you need to specify when buying glasses online. The price on glasses varies widely. The selection is large and glasses from famous designer brands are of course more expensive than less well-known brands. The price also depends on where you buy your glasses, and buying glasses online is usually cheapest. The downside is that you can’t try out the glasses before you buy them, to be sure that they fit right and are comfortable to wear. On the other hand, it possible to try out your favorite eyeglasses in the store and then do the purchase where the price is the lowest. The good news is that today many online stores have made it possible for you to order your frames and try them out before you decide on which pair to get. Usually you get a few frames sent home, which you then can compare. The frames you didn't like are sent back when you place your order, but there is no purchase obligation if you don’t find the glasses you want. Most online stores are prepared to accept vision insurance plans. Which prescription glasses are covered by insurance varies widely from plan to plan. Before you pay out of your own pocket, check whatever plan has vision coverage. Many companies have return policies. If you find out that the glasses aren’t right for you after you have bought them, you can then get some sort of refund. The policies are usually available on their websites. There are also limitations, if the glasses have been mistreated you are unlikely to get much of a refund. It is possible that you need glasses without knowing it. Here are seven warning signs that may indicate you have a problem with your eyesight. Do you think glasses are to expensive? By purchasing your glasses online you can save a lot of money. Looking for a new pair of glasses? Now you can try which glasses suits you without leaving your home.